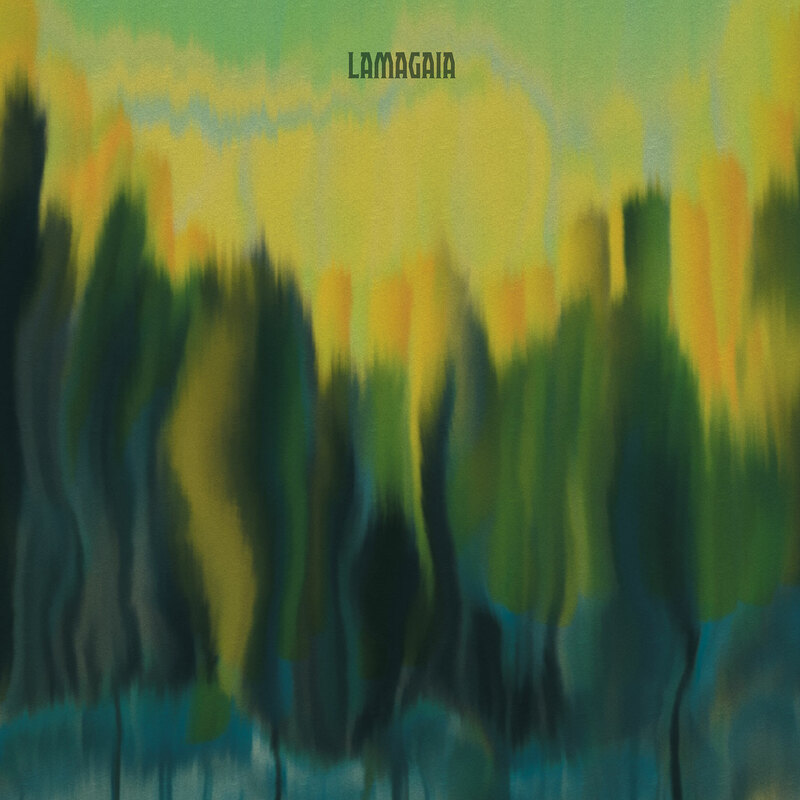 Lamagaia appeared as if from nowhere about a year ago. Their self-release, Lamagaius, was an absolute knockout. A single track, stretching over two sides of vinyl, it announced the Swedes as definitely one to look out for in the future. Then it emerged that the band had countless gigabytes of unheard material which has left many hoping that it will see the light of day. Well, finally one could say, comes another release; this time from Cardinal Fuzz (Europe) and Sunrise Ocean Bender (North America) and I have to say that it has been well worth the wait. Moreover, after the mega long Lamagaius this album weighs in with two practically pop length tracks by comparison, each taking one side of the album. OK I’ll stop obsessing about length now and get down to the important bit. The music itself; and that, as you may expect, is sublime. What is key about the fact there are two tracks here is that they are very different in make up, and also different again from ‘Lamagaius’. So the release of this album, I would say, asks more questions than it answers about all that music squirrelled away on those hard discs. Side one, lets keep on vinyl here, ‘Aurora’ launches, and with the spacey guitar take off it really does launch, and banging into a massive heavy track that just keeps hacking away the debris in your brain for just under seventeen minutes. In short, it’s an absolute banger…but one that, as you would not normally associate with such a term. It just keeps on going and going…past the usually proscribed three minutes…through the ten minute mark (ok so I’m not going to let this time thing go, but with good reason) without taking breath and heading on out into uncharted territory for such a stripped down track. This in not so much garage rock as space port repair shop…it rocks…and rocks…then rocks some more. By contrast side two, ‘Panorama Vju’, is perhaps what happens when the space dock repairs are over. This is a smooth spacey track which does not so much batter than cajoles. This track has a much more jazz-like feel with its clear free-form approach, particularly the use of a saxophone to give the music depth and texture. While being all these things the track also has a real momentum to it, and at no point does it feel as if it’s either going round in circles or stagnating. There seems to be a constant invigoration of new ideas flowing into the track, which keeps it both interesting and vital. If anything these two tracks have deepened the mystique of Lamagaia for me. They have strengthened the case for the band to release more of their music (seriously, no pressure people; it’s your music and you must do with it what you will…but). Whether they do or not this is another marvellous glimpse behind the curtain, what you see is not an Oz-like demystification but a further couple of peeks through the window at what could be a sonic promised land.